Details: The project is coming up at Devanahalli in North Bangalore, near Kempegowda International Airport. It is spread over 18 acre of land. The project offers 1620 units comprising of 1, 2 and 3 BHK Premium apartments with G+14 floors. The size of the apartments ranges from 656 to 1498 sq ft. of super built up area and the project will be completed in two phases. 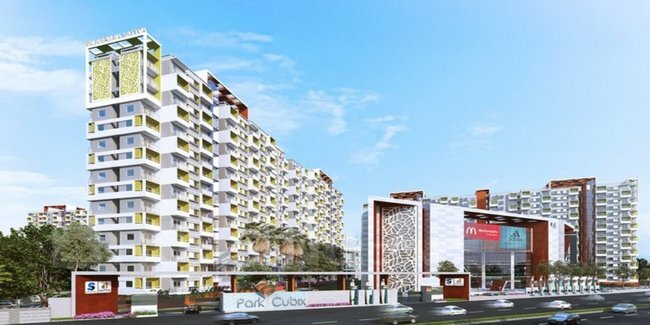 The project has 2 grand clubhouses with multiple indoor & outdoor amenities like gymnasium, swimming pool, kid’s zone, tree-lined pathways, jogging/walking tracks, multi-purpose hall, cafe, saloon, barbeque area, cycling track, & many more. It also has a shopping complex for daily conveniences & entertainment. 3 Ulsoor Road, Bangalore-560042, Karnataka.